Is it possible to become the type of employee that your employer cannot afford to let go? Have you ever thought about making yourself so knowledgeable and valuable that your employer would do anything to avoid losing you? Today is your lucky day! Here are a few questions to ask yourself today to determine if you’re an irreplaceable employee. How adaptable are you? Are you a flexible employee who can adjust and make changes as the company evolves? Do not become stuck in your ways; show your employer that they can count on you to make the adjustments necessary to keep the company moving forward. Are you progressive? Do you consistently come up with new ideas, innovative ways to save time and money, and creative ways to promote the company to ensure it is profitable? Are you willing to do whatever it takes? Show your employer that they can count on you to do your part as well as pitching in when necessary. Be willing to pick up the slack or stay late if needed. Are you learning new skills? Employees who learn new skills and apply them to their job are extremely valuable to the employer. Consistently improving yourself will show your employer that you care about what you do and are in it for the long haul. It will also improve your performance and make you an extremely valuable asset to the company. How do you process new information and apply it to your job? Always apply newly acquired skills and information to your job. Make an effort to be proactive and apply your new skills and knowledge to make your organization more efficient. When is the last time you came up with a creative solution to a problem? Be that employee who solves problems and comes up with effective solutions. You will find that your employer will be very happy with your work, which may even lead to greater job satisfaction for you! Take a little bit of time to examine your work ethic and how you effectively you operate within your current role. 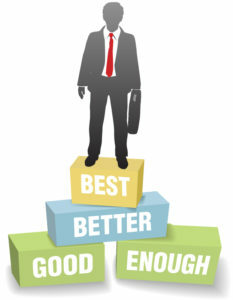 Perhaps it is time to make a few small changes to make yourself one of the most valuable employees within the company. If you are currently searching for a job or going for that promotion, then please don’t hesitate to reach out to me: mary@resumeassassin.com.